CCNaxus has experts in each of the major trades of construction which minimizes the need for sub contractors, while ensuring a more accurate development of conceptual designs, improving your home’s functionality and increasing its worth. This process allows the project manager to operate within budget, while keeping you informed of each phase within the project timeline. 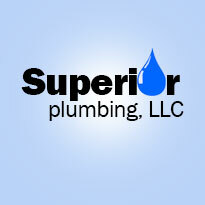 We are committed to happy customers! CCNaxus has experts in each of the major trades of construction and our professional network of industry leading partners ensures we can handle all of your home improvement needs. Our system of operation reduces the time and the cost to complete your unique project, all while we apply our extreme demand for quality in every detail of our work. From concept to development, the same project manager supervises our specialty crews during the framing, electrical work, plumbing, drywall, stucco, painting, finishing and every aspect of the project. 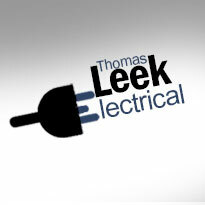 Using excellent products from leading manufacturers, we expect nothing less than extraordinary results. Wondering how much your project may cost? Kitchens are one of the most commonly used rooms in our homes. With such a high traffic space, doesn’t it make sense to create a kitchen atmosphere that makes you feel special and good about the time you spend in this area? We do and that’s why we work so hard to make your kitchen perfect for you! Our success relies on uncovering your family household lifestyle and maximizing usability efficiencies without sacrificing luxurious results. Our goal is to create both a living, and cooking environment that works within your home. CCNaxus has the skills to design both a dazzling atmosphere without sacrificing convenience or usability for this very important room! We offer complete bathroom renovations to turn your bathroom into a relaxing sanctuary, adding comfort to your life and increasing the value of your home. With our expertise, we will design and build your dream bathroom, making it a reality. From updating a few fixtures to designing an entirely new bathroom, we can help make your new bathroom amazing. Updating your bathroom will increase your lifestyle comfort as well as the value of your home. Adding living space to a home can be a huge commitment, but a well-organized addition can pay for itself with significant increases in the value of your home. Our design experts will help maximize your investment by choosing the perfect materials and details to increase your home's value, improve character and maximize living space functionality. The architectural and structural designs are one of the main benefits of our service. We specialize in designing functional and cost effective additions. The innovative blueprints we design, make each and every project unique. C&C Naxus replaced my roof quickly, professionally, and at a fair cost. The workers were courteous and friendly, and always arrived on time. Extra work exceeding the contract was first discussed and priced, then signed off by both parties before any construction. I already recommended them to 3 other home owners. Excellent work done by C&C Naxus. I couldn't be happier! The men completed on time, clean, neat and well organized. Thank you! Great crew to have work done-very very good craftsmanship-as well as polite and prompt --would use them again on future projects. 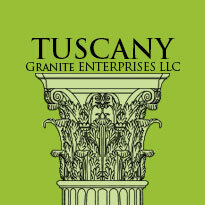 Tuscany Granite Enterprises provides a great selection of natural granite at affordable prices. 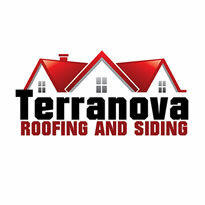 Terranova's is a leader in the roofing and siding industry from NJ to CT.